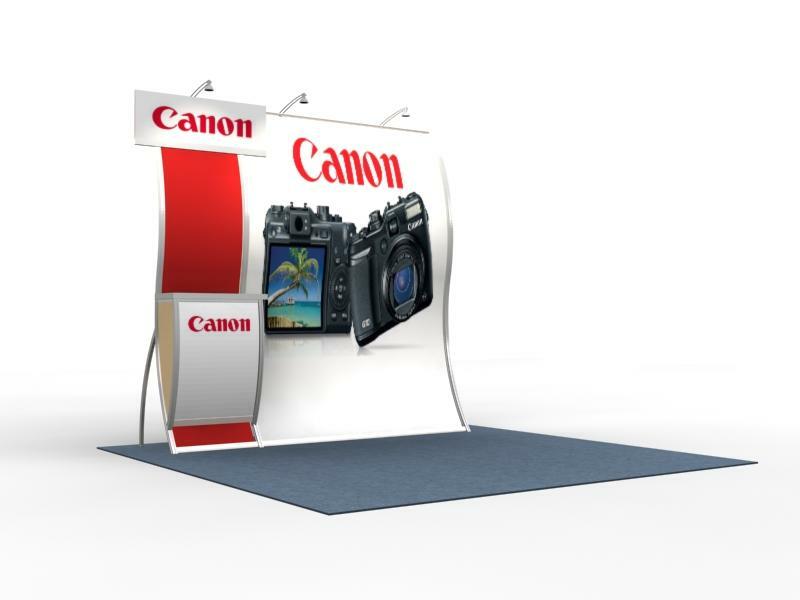 Perfect 10 Backwall Mounted Counter: You'll never see any other system quite like the Perfect 10 Hybrid Trade Show Display System. The Perfect 10 stands out from the crowd, and is never mundane. When you name a product a Perfect 10 replacement graphic, it had better be good and with Perfect 10 you get a flawless performance at every exhibition. 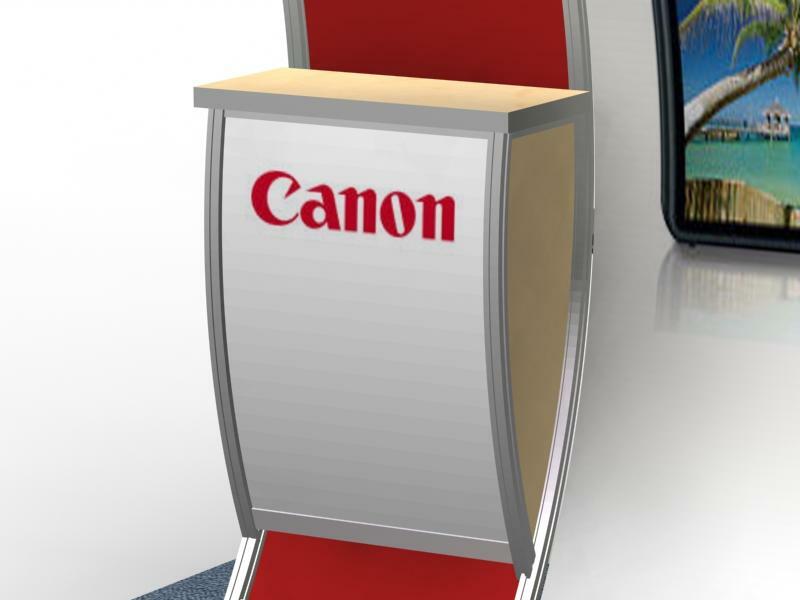 Try a product like the Perfect 10 and 20 Displays which take large scale dye sublimation graphics with distinctive framework, which assembles easily; all with an attractive price. 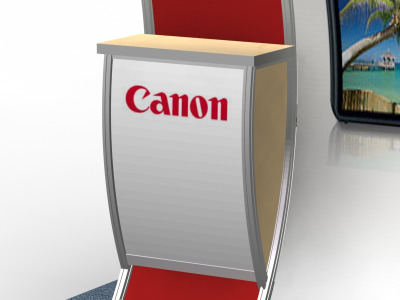 Classic Exhibits has created a number of new outstanding products in the past few years that make the most of lighter weight materials such as extruded aluminum and dye sublimation fabric, to bring new high demand products to the trade show display industry. When other manufacturers were content to hold onto a group of tried and true existing products, why did Classic extend themselves and risk valuable time and money to create new products? While other competitors were developing products with heavier, large shape extrusions, and building more formidable structures, Classic realized that certain metal that they had in inventory could offer attractive new price points if utilized in future product development Their ingenuity and creativity have spawned several entire lines of custom modular hybrid displays and provided the market something new to look at. Classic produced and patented the Perfect 10 custom modular hybrid display system, plus the Sacagawea and Magellan Miracle tension fabric displays. As a result of all the great new exhibit offerings that Classic has available, it’s no surprise that Classic holds a strong market position with their group of distributors, and appears not to be letting up one bit as they march into the future! In the warp speed world of on line merchandising, you can distinguish your business by bringing your focus down to the personal level and truly try and interact with clients. It's not acceptable to take an order, pull it, and get it out the door via any of the automated means that we have available to us today Although it might never be stated, most of our customers want to hear what we have to say and welcome our input and feedback. That is why we, as customer service professionals at ShopForExhibits, have the real world experience in order to advise our clients properly and give them the direction they need to create a valuable exhibiting experience for themselves.